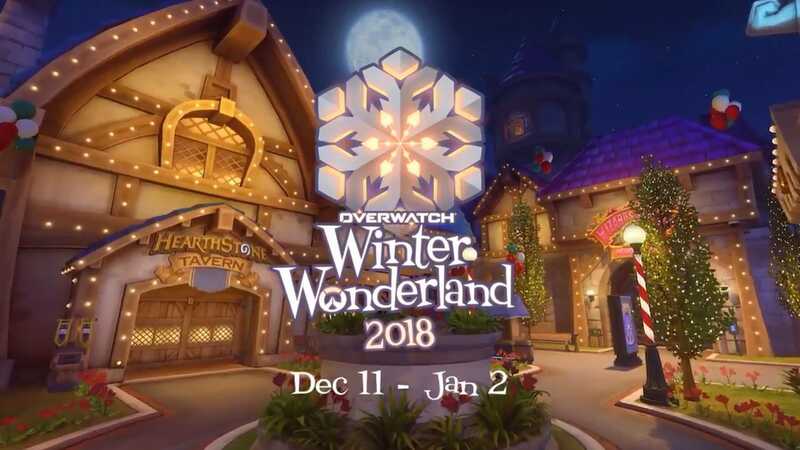 As per-tradition, the Winter Wonderland event is returning next Tuesday, from December 11th, 2018 to January 2nd, 2019. As with the previous events, we are going to be teased with some festive Holiday-themed cosmetics up until the event starts next Tuesday, with a trailer that showcases the event. While no new game modes will be added, Mei's Snowball Fight and Mei's Yeti Hunt will return, and some new achievements for both modes have been revealed in the latest PTR update. I'm fine with these modes being fun diversions, and will serve as a nice stress reliever from the daily grind of Competitive Mode. I'll try to keep this topic updated as I can with new skin reveals and whatnot, so feel free to chip in if I fail on my part. Happy Holidays and Merry Christmas! Can I go 3 straight events without getting one of the new skins? Gonna try! I feel like I get enough gold to unlock most of this stuff without issue, but like with the Halloween Terror event, I'm going to wait and see what's available before blowing my gold on this year's cosmetics. (I wasn't really impressed with the Summer Games or Halloween Terror 2018 Legendary Skins). Yes, so excited for this event. Here’s hoping D.Va and Orissa get some new skins this event. A new Zarya skin has appeared!